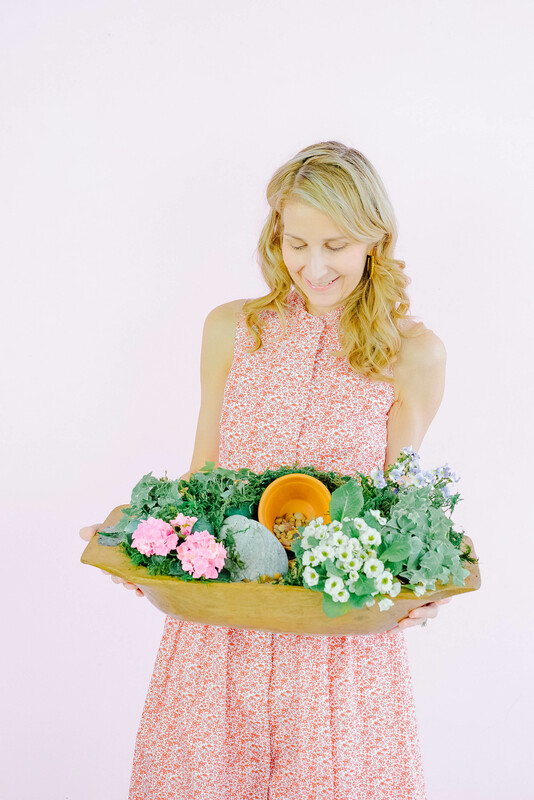 Have you ever heard of an Easter Garden? 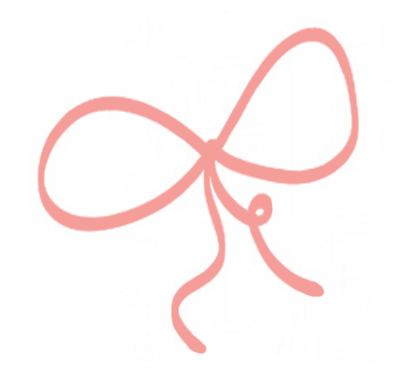 Today I am sharing what might become a fun and meaningful tradition for your family. It would also be a great activity for a group or party! Last year I heard a speaker talk about her springtime travels to the English countryside and noticing that all the beautiful ancient churches had little “resurrection” gardens during the Easter season. She brought the tradition home to her family and I thought it was so neat that I wanted to share with y’all. 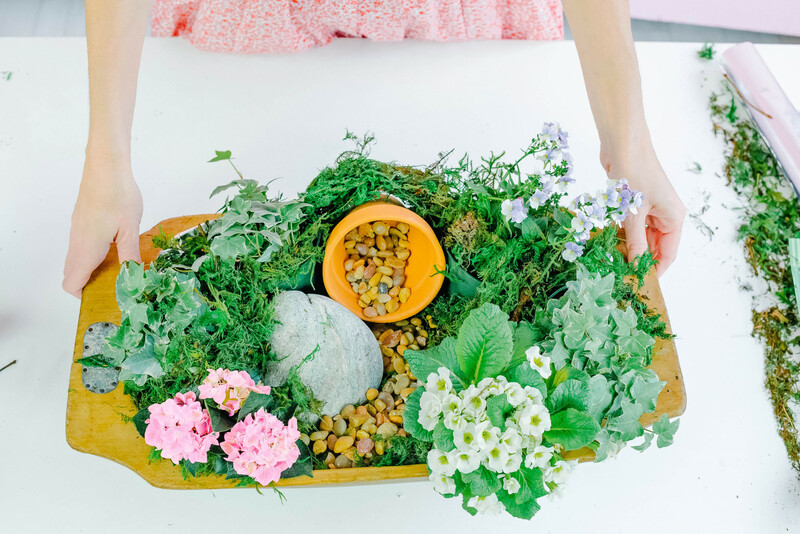 Easter gardens are a visual way we can teach our children about the Easter story. It gives small children something to do while you talk or read the Bible story. And older children (and adults!) can get really creative with their gardens. 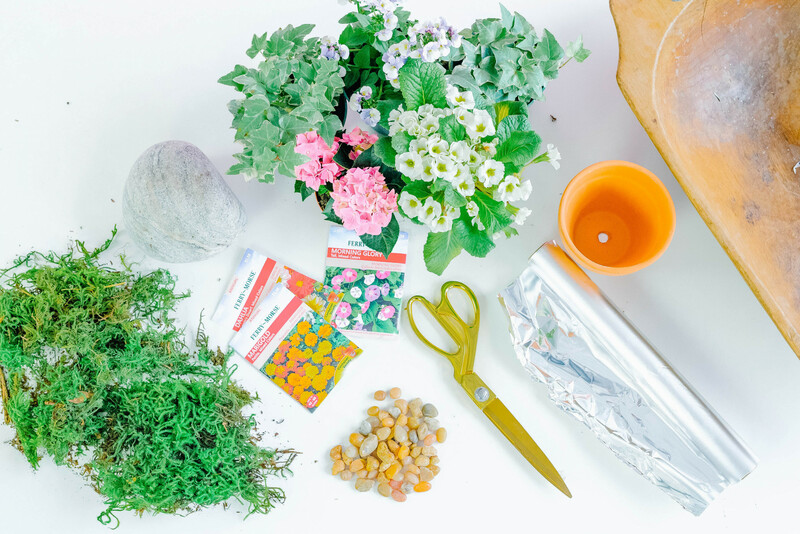 You can probably find everything you need to create an Easter garden in your backyard and kitchen. You can be as simple or ornate as you want with the gardens. Some use plastic people figures much like a nativity scene. 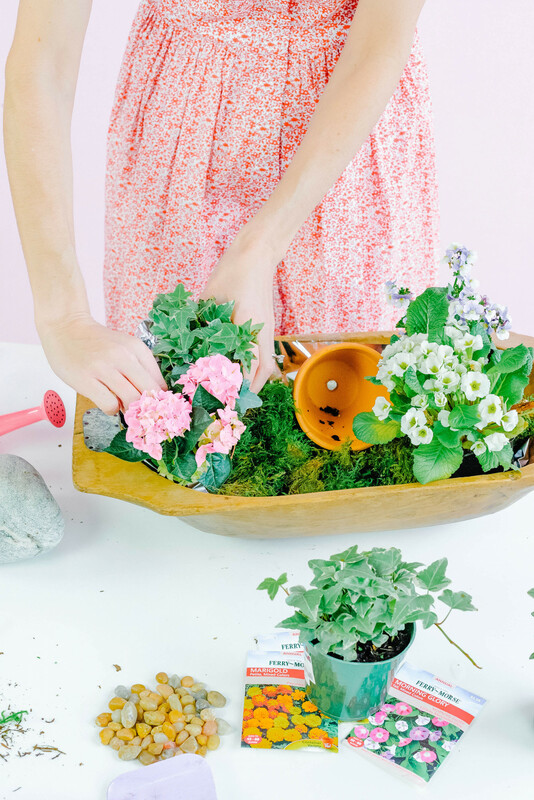 For a cute party activity you can buy a few mini potted flowers and supplies at a garden store. 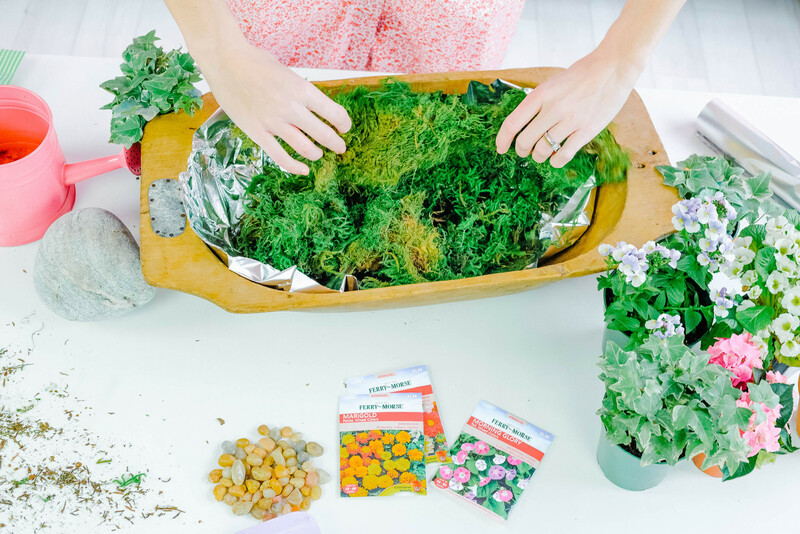 At the event we attended last year, the supplies to make a garden were packaged up beautifully as a party favor along with instructions. So sweet! We like to keep the stone rolled in front of the “tomb” until Easter Sunday. We used a clay pot for the tomb but you can get creative with it. 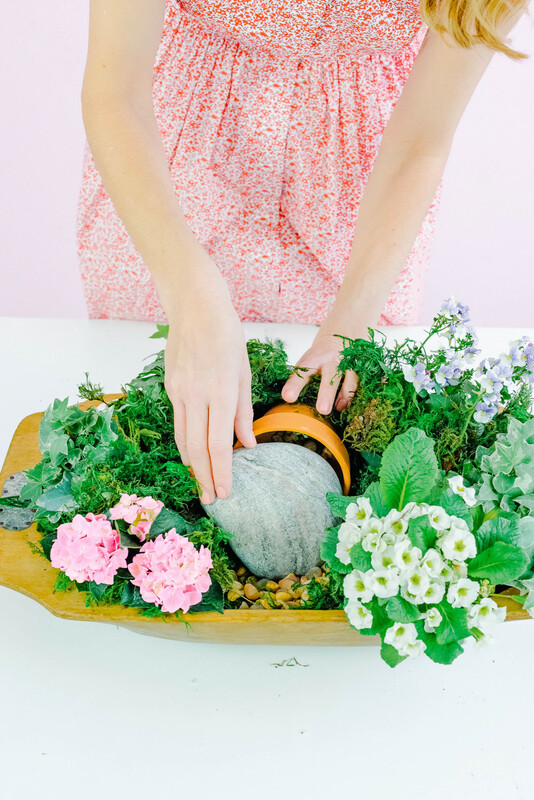 An Easter Garden can make a beautiful centerpiece or a gift to take to a neighbor or elderly grandparent. Choose your dish. I used a large bread bowl for our garden, but other people have used shorter terra cotta pots or planters deep enough to hold potted flowers. These can be done outside as well! 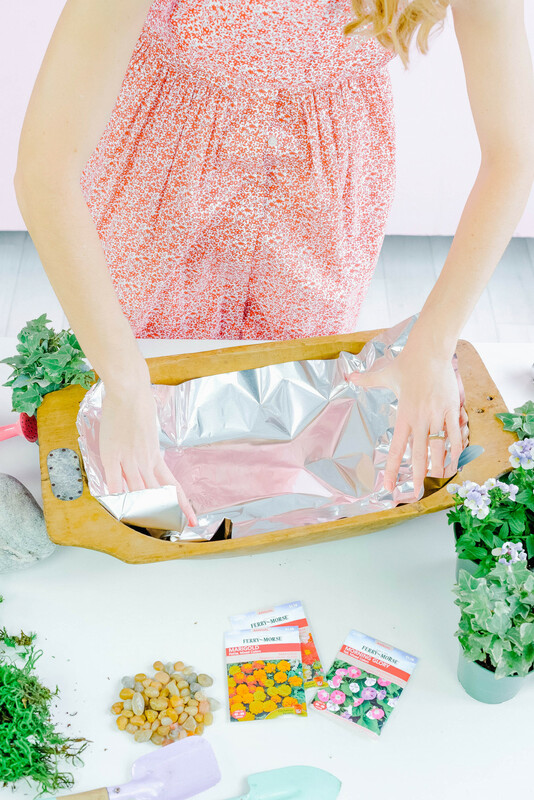 Use foil to protect your dish. If you are using a planter, you can skip this step. Put potting soil in and cover the entire space. Plant seeds in soil or plant potted flowers. Use small pebbles to make a pathway leading to the tomb. Cover exposed areas with moss. Place rock in front of the tomb. On Easter Sunday, roll the stone away to show that Jesus is no longer in the tomb. 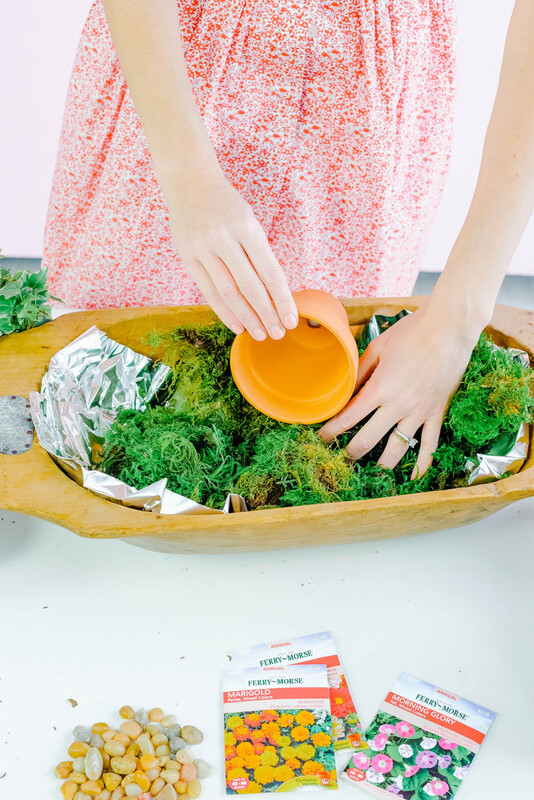 Creative ideas from around the web: If you are wanting to grow your own grass, see this example. If you have a lego lover in your house, this Lego Resurrection Scene would be fun to make. 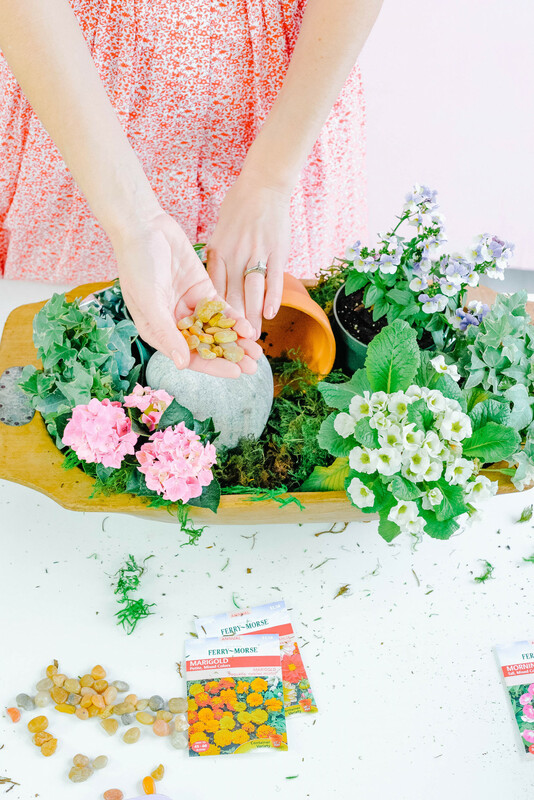 See this example to learn how one mom taught her daughters about the Resurrection with her garden. Love the Easter Garden idea. I have a couple of old bread bowls. Plan to make for my grands. Such a good way to show how the tomb was empty.